Maintenance will occur several hours earlier this week. Players who purchase premium set tickets will receive Bonus Keys and Casino Coin Passes. Purchasing different premium sets during the campaign period qualifies you for each of the respective prizes. ※Premium Sets must be purchased to qualify. Using previously acquired sets will not count towards the campaign. ※Each package is limited once per account except for the Gathering Set. 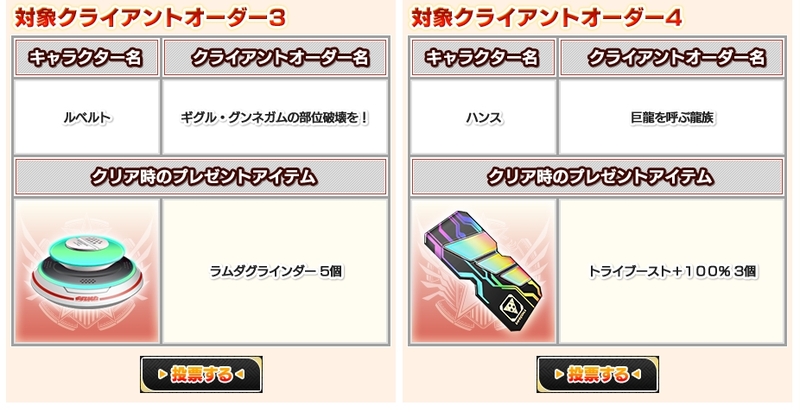 ※The Gathering Set is limited 5 times per account. Players can vote for a Client Order they’d like to complete in the future. The Client Order with the most votes will run as part of a Client Order Campaign beginning January 25th. 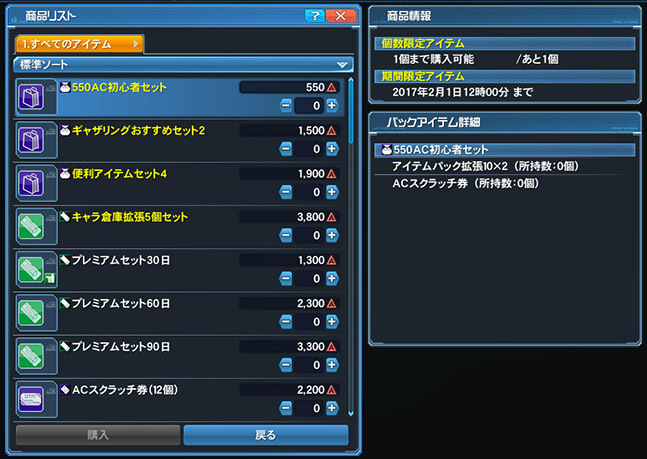 You have until January 25th’s maintenance to complete this task. Players who clear the winning Client Order will receive prizes in their Visiphone. January 18th ~ January 23rd @ 11:00 JST. The winning client order will become a Client Order Campaign starting January 25th. Uh anyway, did the BGM changed in lobbies for everyone? When I logged yesterday it was New Year and when I left the Campship after some missions it was the “Xion discussion theme” and Este Salon. Willing to bet it’s related to those serious delays at the start of Mommy EQs. And yeah, that’s off proxy even. PS4 patch is 78.84 MB, or 79 MB when rounded up. Is there a place where we can check the whatever they’re changing? Translation Patches installed before updating maybe? My Tweaker seemed to do things like usual, except that for the second time it crashes when I choose to udpate. I have to restart it until it doesn’t… And it “failed to download 4 files”.